Cool Hand Burg: We admire their candid approach. We admire their candid approach. Good job not sugar-coating the truth, San Francisco. In a state full of people terrified of being perceived as aggressive or overly direct, we were surprised to find a sign that was so honest and abrupt. 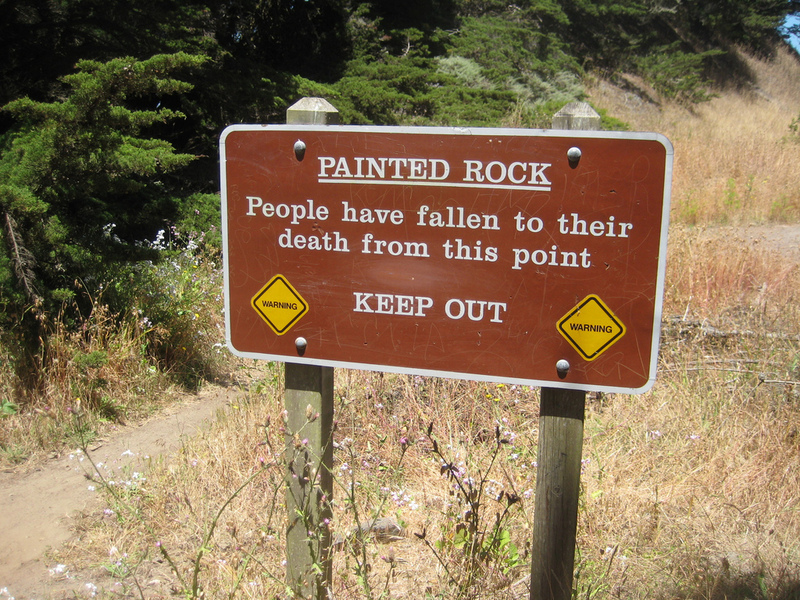 I think we were expecting something more like: "So, um, it's like not a good idea to hike over here. People have gotten um, hmmmm, not alive I guess. So you might want to be careful! But it's your life and we don't want to tell you what to do, so I mean, do what you want. It's cool."